One of the frustrations that people face is how to reheat cinnamon rolls. The rolls are usually soft and tasty when they are fresh out of the oven. The challenge comes in after they have stayed for several hours or more. The cinnamon rolls become hard which makes them not as delicious as they previously were. Some people shy away from making the rolls because of this problem. Others throw away the leftover cinnamon rolls because they do not know what to do with them. 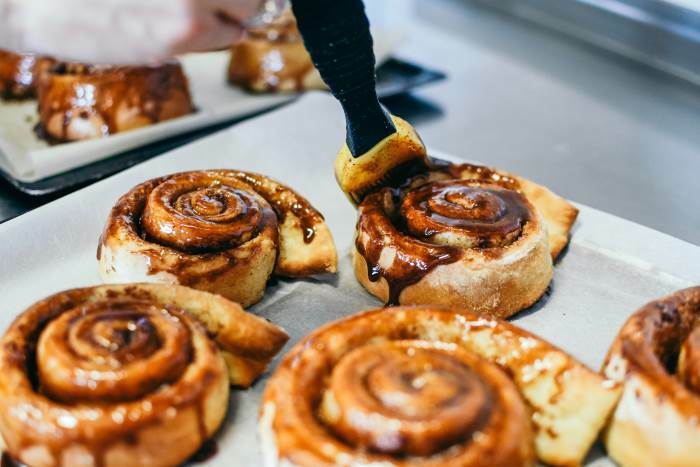 An important tip you should note is that smearing a melted pat of butter on the cinnamon buns immediately you remove them from the oven will help them to retain some of its softness. After learning the proper way of warming up your rolls, you will be so excited to prepare as many cinnamon rolls as you want. These are some of the methods you can use to heat up your cinnamon rolls again and regain their delicious taste. You might even confuse the reheated rolls for freshly baked ones because they will be so delicious. And if you prefer the rolls very hot, you can always go for cinnamon rolls with chili. An oven or toaster oven will give you the best results when warming up your leftover cinnamon rolls. Do not be discouraged by the fact that using the oven takes more time compared to other options such as a microwave because the results are worth it. Preheat the oven until the temperature reaches 350 degrees F.
Put the cinnamon buns on a baking sheet and cover with aluminum foil (Out of foil? You can get it here on Amazon!) and place them in the oven. Let the rolls heat up for about 10 minutes. If you had previously frozen the cinnamon rolls then you can leave them in for a few 5 minutes longer. If the buns are bigger then you can also give them that extra time in the oven. Keep checking on them to see if they are fully warmed up. Serve your rolls while warm. The biggest reason why people love reheating cinnamon rolls is that it takes the shortest time. Your rolls will be ready in less than a minute. One thing you need to be cautious about when using the microwave is that the cinnamon buns could become soggy if left for a long time. Here’s how you can avoid that. Get a microwave-friendly plate and put the rolls on it. Place the cinnamon rolls and the microwave for 15 to 30 seconds. Check on them to ensure they don’t become soggy. Get them out of the microwave and enjoy. Another trick you can use is to place a cup containing water in the microwave and let it heat up. From there, put in your cinnamon buns with the cup of water still inside the microwave. The steam will warm up the rolls and make them soft, but not soggy. Most people do not think of pans or grills when they want to warm up their cinnamon buns yet they work. Also, if you have a griddler or even a George Forman Grill, you are set. 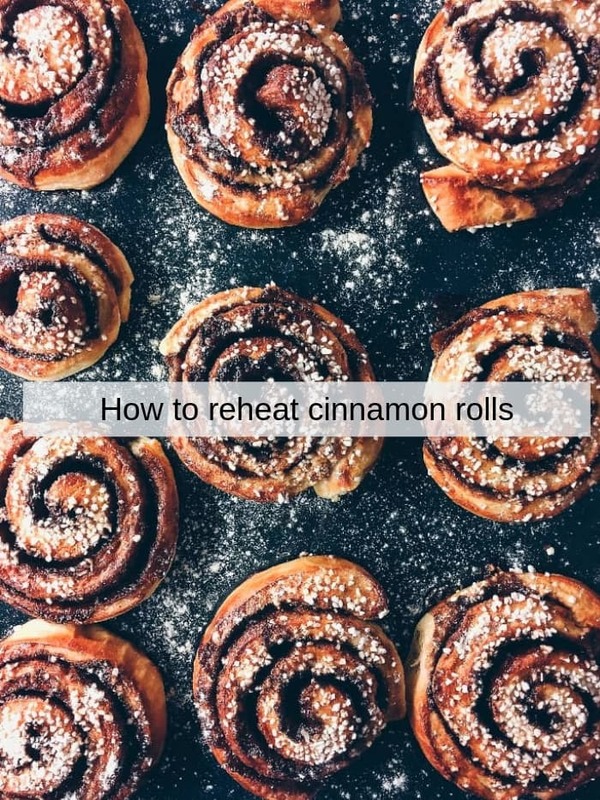 Preheat whichever one you are using and then place your cinnamon buns in it. Close the lid and give the rolls about 10 minutes. Having hard cinnamon rolls can be a nightmare. You may not know what to do with them because you may not feel like putting them anywhere near your mouth. However, there are ways to soften those stale rolls and make them edible again. Sprinkle some water on your hard-cinnamon rolls and then cover them with foil. Let them bake in the oven 15-20 minutes. Make sure to do it under moderate heat. The steam will make the cinnamon buns soft. The aluminum will also help in locking in moisture. That is how you will soften your cinnamon rolls. Q: How do you reheat Lulu, Cinnabon and Pioneer Woman cinnamon rolls? A: You can use any method described above. They are no different than homemade rolls. @Cinnabon Thanks! How long do the cinnabons stay fresh for? And can they be frozen? Q: How do you store cooked rolls? Q: Can you freeze cinnamon rolls? Q: What is the best way to warm up frozen rolls? A: Again, use any of my methods. Either let them thaw before reheating, or give them extra time in the heat. You should know how to reheat cinnamon rolls because it is easy and you will love the results. If you dedicate some little time and effort, you will continue to enjoy your rolls the same way you did when they were freshly made. It’s okay if you are confused by the various options. The reheating equipment you have may determine the technique to choose. For example, if you only have an oven then you will definitely need to use that oven to warm up your rolls. However, if you have more than one equipment then you can try one method at a time and you will know which one works best for you.